When the Beatles came to Miami in 1964, they performed again for the Ed Sullivan Show. In the audience was Beatle fan, Jane Sollogub. 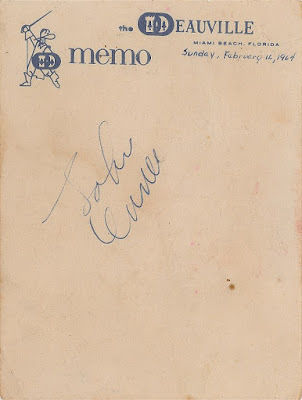 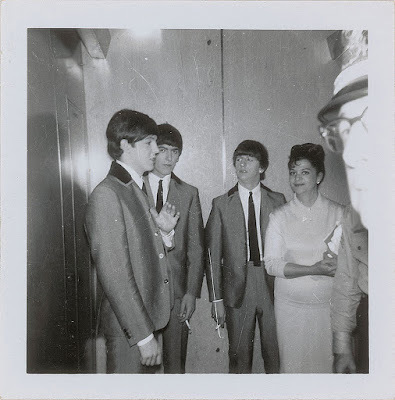 Jane was super lucky to not just attend the concert but to meet the Fab 4 afterward (appears to be at the elevator) and while John does not appear in the photographs, we know that she did meet him because she got his autograph on a piece of paper from the hotel. After the Beatle encounter in Miami, Jane formed the Southern Florida chapter of the Official Beatles Fan Club, and it grew to be the biggest club in Florida. 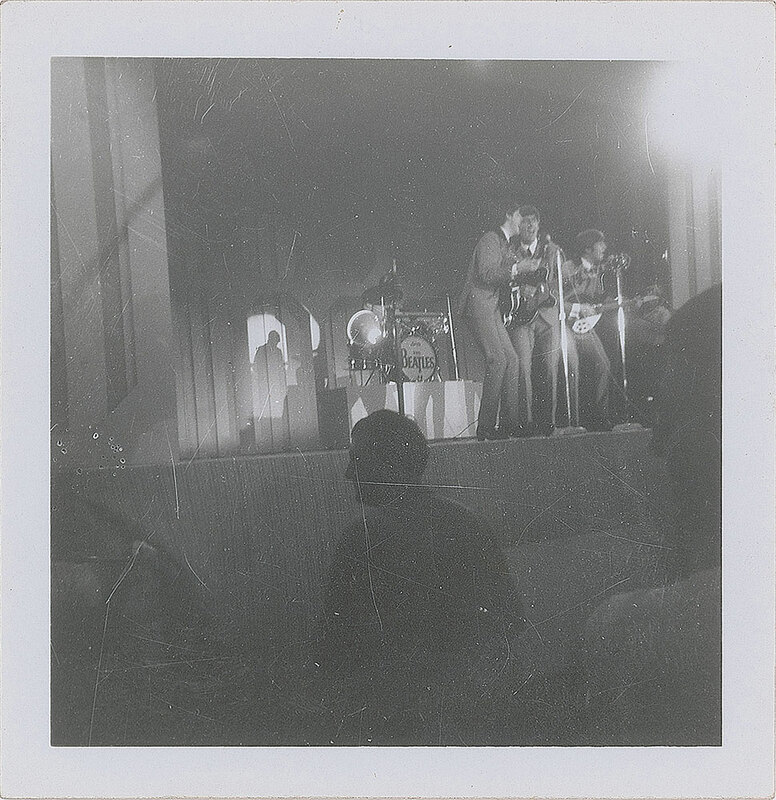 No doubt, she shared these photos and stories with the members of the club. 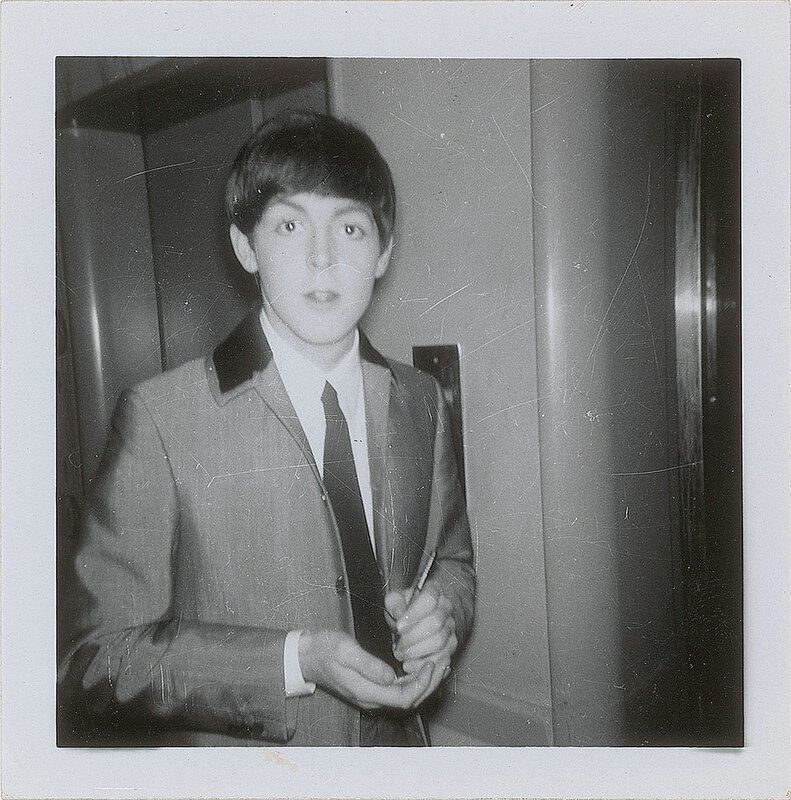 The makeup job on The Beatles for that Miami appearance was hideous. 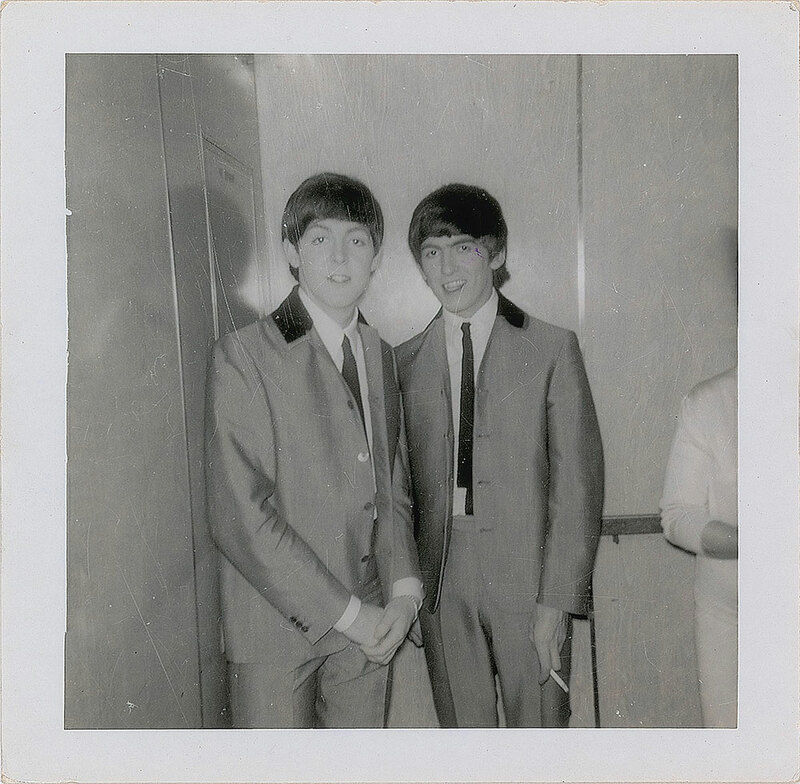 They looked like Madame Tussaud's wax figures, especially Ringo.